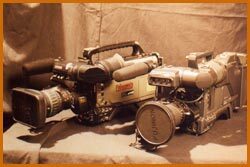 Films Division possess the best of the equipments in video and audio that are available on hire. 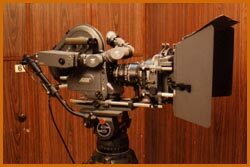 The camera, lights, lenses and sound equipment can be hired from Films Division at attractive prices. Statement Showing The Rates For Hiring Of Equipment And Personnel Of Films Division To Other Central Government Departments, State Government Departments, Other Private Producers Who Are On The Approved Panel Of Films Division Assigned Work By Films Division. 1.Research and Reference Center : Films division, keeping pace with the rapid changes in the realm of filmmaking, has opened its vast archive for the benefit of film scholars, students, writers and film lovers. A research and reference centre was declared open in Films Division premises by Ms. Sushma Singh, Secretary, Information & Broadcasting recently. 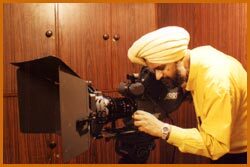 One of the gateways into understanding Indian culture is the original footages of documentaries produced by Films division over the years. Each year, hundreds of film makers/ scholars and students around the world look for original material/films in pursuit of their creative goals. Films Division has made films on every conceivable subject concerning India and its archive now boasts of over 8000 films, among their subjects, on Indian culture including tribal and folk arts, music and cinema, dance, theatre, painting and architecture, eminent personalities and biographies – to a name few. The newly opened research and developments centre’s main objectives are to strengthen education, training, creativity research and documentation, dissemination and criticism in the field of documentary films. The R & R Centre offers viewing facility of Documentary films produced by Films Division and others apart from reading materials in the form of books and periodicals on cinema. The centre is opened to all film makers, students of cinema, journalists and film lovers. Those interested in making use of the R & R Centre may contact Officer In Charge of Distribution at 24, Pedder Road for more details. The Films Division’s equipment and personnel to operate them will be hired out together. The equipments, facilities and personnel of Films Division will be hired out only if they can be spared after meeting the needs of Films Division. Cameras will be hired out with two attendants (One Asst. Cameraman alongwith a Senior Studio Boy with required background) and Nagra Tape Recorder with one attendant (Senior Studio Boy with required background). Hire charges for these attendants will be recovered from the parties at appropriate rates in addition to the hire charges for the equipments. TA / DA in respect off Films Division Technicians hired out and attendants escorting equipment will be recovered at the appropriate rates from the party. If the party bears the traveling expenses and provides free Boarding and Lodging facilities to the Films Division technicians and attendants, no recovery on account of TA / DA will be made in respect of these personnel from the party. If the equipments are hired out for shooting etc. within the city limits and returned to Films Division the same day / every day, hire charges will be calculated upto the time, they are returned to Films Division office subject to a minimum of one shift for each calendar day. 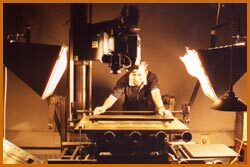 If equipments are hired out for taking out of city limits involving journey by Air, or Rail or Road, and / or if they are not returned on the same day or every day to Films Division’s office, the number of shifts will be calculated from the calendar day of the issue of the equipment from Films Division to the Calendar day of its return to Films Division and at half a shift per day of journey by Air or Train or by Road only in cases where the places are not connected by Air or Train and provided no shooting is done during the course of journey, at one shift per day for the day of arrival and the last (pack up) day for each destination and one & half shifts per day for all other days. In case of technicians hired out and attendants accompanying the hired out equipments, the number of shifts will be calculated on the same principles mentioned above for equipments. A shift is equal to 6-8 hours and hire work of less than one shift is normally not accepted. In special circumstances Chief Producer may allow hiring of services on hourly basis. A reel indicates 300 metres of 35mm or 120 metres of 16mm or part thereof. Raw stock / Tape etc. and commentators, musicians etc. will have to be provided by the parties concerned.